i loved summer days at my grandpa and grandma baughman’s house. playing outside. smelling grandma’s peonies. watching grandpa on the tractor. helping pick in their garden. drinking mellow yellow (i never got that stuff at home!). 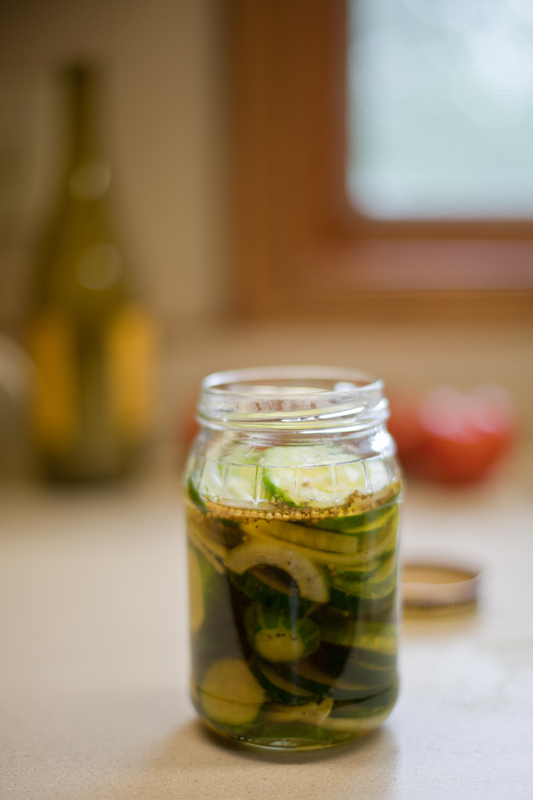 i loved when grandma would send me home with some of her refrigerator pickles. they were made with love. 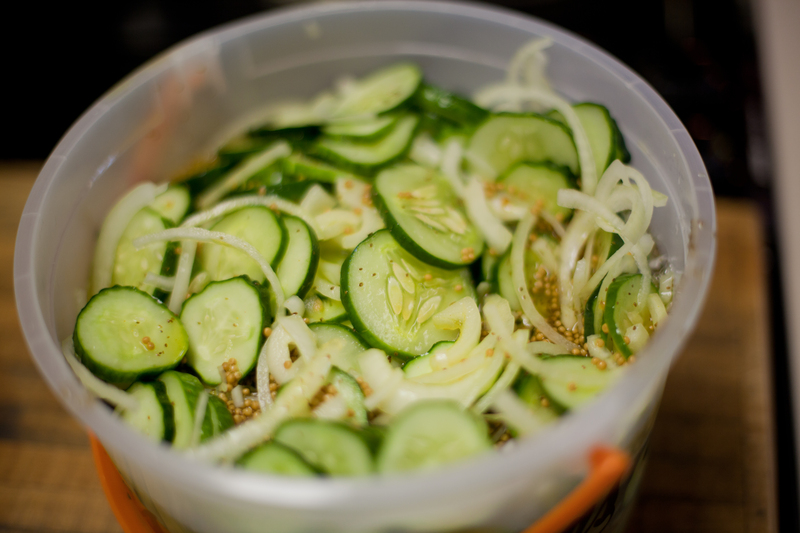 these pickles don’t last long in our house…especially with pregnancy salt/vinegar cravings!